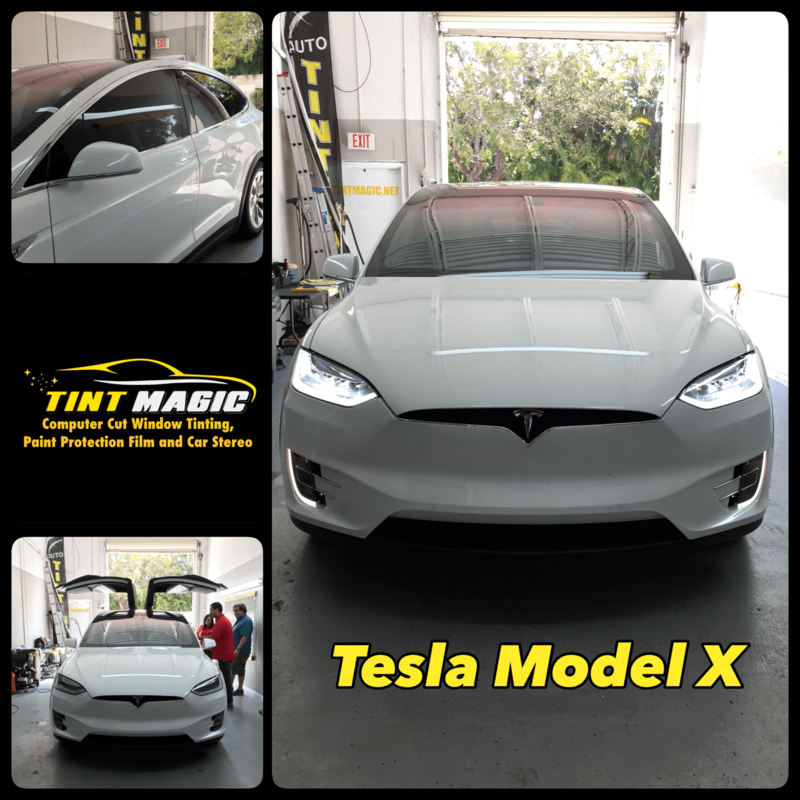 Tesla Model X at Tint Magic Window Tinting Coral Springs, we applied Llumar CTX Nano-Ceramic Tint to all windows for the best heat rejection and UV protection. Llumar CTX Nano-Ceramic Tint give you more than 99% UV protection to help protect your skin and your vehicle’s upholstery from sun damage. The Model X might be the greenest—and fastest—way to tote up to 7 people over hill and dale. In our test the P90D went from 0 to 60 mph in 3.3 seconds and has a 250-mile range; Tesla says the P100D hits 60 mph in 2.9 seconds and has a 289-mile range. The 75D and 90D have 238 and 257 miles of range; both are slower to 60 mph. The X is actually practical, with all-wheel drive, a high-tech cabin, and the striking but fussy Falcon Wing doors. Tesla’s Autopilot semi-autonomous driving is optional. The rear doors release with an audible click, and then the electric motors whir as the doors begin their slow skyward ascent. It’s the Model X’s big trick, and a dubious tie to the hubris of DeLorean, Bricklin, and Icarus.